The University of Cincinnati's nationally ranked and internationally renowned College-Conservatory of Music (CCM) is now accepting applications for its new Master of Music in Music Education. The degree program is specifically designed for music teachers who want to remain active in the classroom while continuing their education. The practical degree program can be completed in three summers and provides a high-quality, individualized curriculum for all music teachers. Core music education course work focuses on the development of music mastery and advanced pedagogy. Students have the opportunity to refresh their piano skills, study conducting, or advance their performance techniques through applied study. 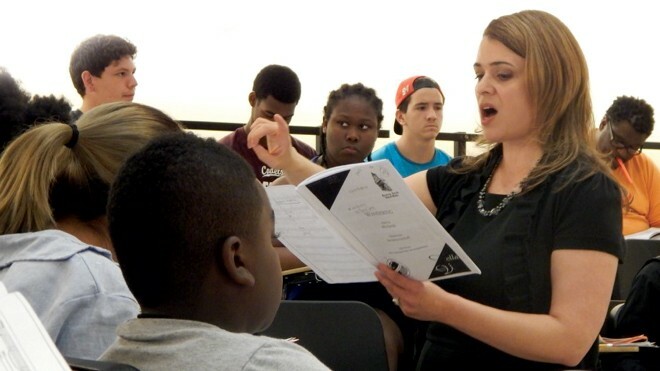 The program also features enrichment opportunities unique to the summer curriculum, including Orff-Schulwerk or Kodály certifications for music teachers and study-abroad experiences. Each summer course load consists of a five-week term with schedules that provide free time in the afternoon to study, practice and maintain personal or professional commitments. Apply by May 1 in order to enroll in the Summer 2019 semester of CCM’s new Master’s in Music Education program; courses begin in June. For application information, please contact CCM Admissions at 513-556- 9478 or email ccmadmis@uc.edu. Apply online at grad.catalyst.uc.edu/apply. For more information about the new graduate program, contact CCM Music Education Division Head Ann Porter at 513-556-9527 or email ann.porter@uc.edu.